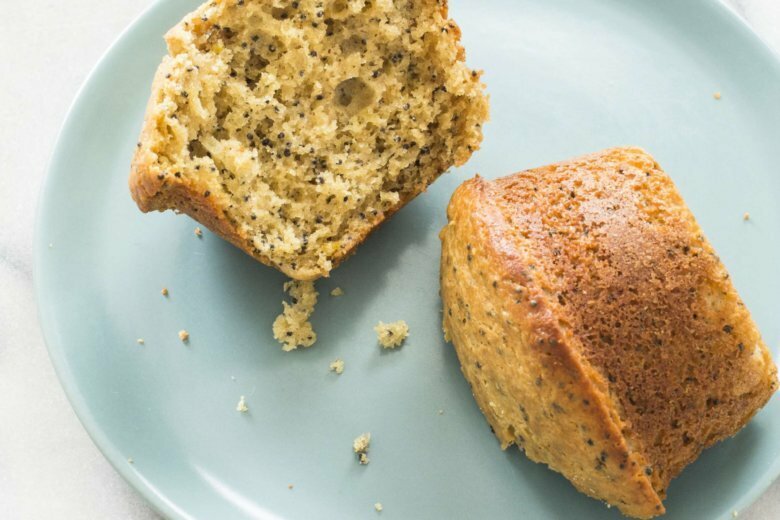 We wanted to make poppy seed muffins with rich, full flavor; fluffy, tender interiors; and golden crusts. We were amazed to find that our go-to recipe had a whopping 22 grams of sugar per muffin, so we hoped that our new recipe would work with a sugar content of only 11 grams. We turned to Sucanat, which we ground in a spice grinder to ensure that the tops of the finished muffins weren’t speckled. Lemon zest seemed like a natural complement to the poppy seeds, but we could only add so much zest before the muffins started to taste soapy, and our muffins were still lacking flavor.